Ok, so this is a little esoteric. We suppose it’s bound to happen when there’s so much effort invested in getting it right. The absolute toughest challenge on every designer out there is to fix the problem in such a way that the resulting object is perfect. And yet, it almost never happens, because design is a part of life and life is never perfect when judged against an outside standard. It evolves and that makes it perfect. With this little story in mind, we reasoned that perfection must be the thing of legends and stories and so we searched for a symbol of perfection that could honorably accommodate all the hard work of Romanian designers at BIFE – SIM (the biggest furniture fair in Romania). The symbol we agreed on was the (in)famous number 9, revered in some cultures, despised in others for the exact same reasons, and straining mathematical talents since the concept of numbers was invented. As follows, we built 9 symbolic houses to exhibit the newest pieces created by the Romanian designers. We feel 9 does everyone justice. 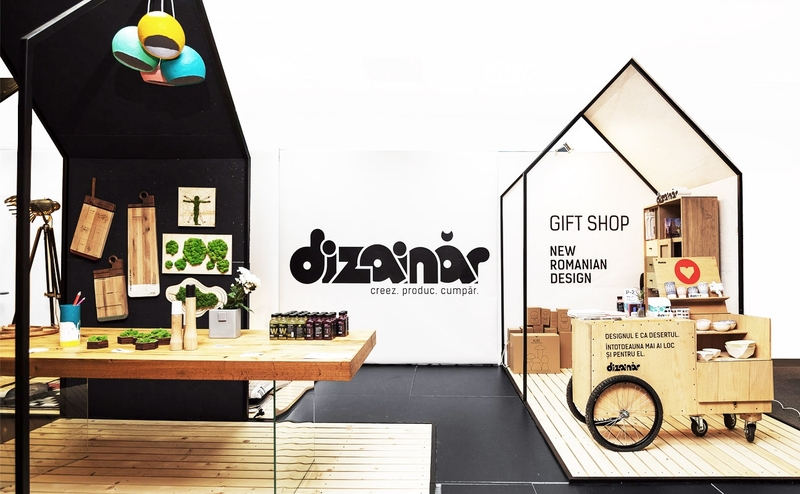 At BIFE-SIM, in 2016, Dizainăr launched the NEW ROMANIAN DESIGN SALON – a place for exhibiting all the newest pieces of furniture and accessories for your home.